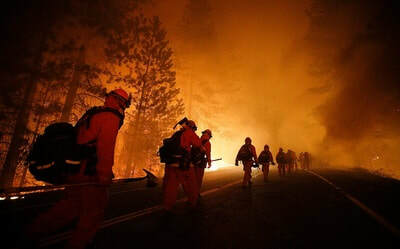 The California fire chaplain association is incorporated as a non profit 501 (c) (3) professional educational, training and spiritual support network. The purpose of this organization is to bring together, network and train individuals and groups who are interested in providing effective chaplaincies for fire service organizations. To fulfill this purpose, the California Fire Chaplain Association and its members exchange and share ideas and concerns that can influence the quality of life of all members of the fire service and their families. These shared ideas and concerns should encourage and assist each one to develop the most noble of all human characteristics, service to others and to god, our supreme chief. 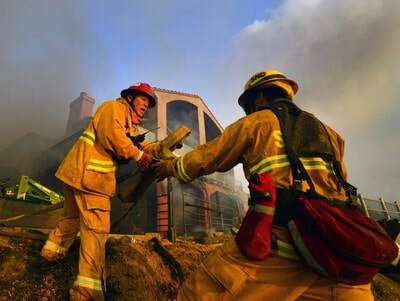 The purpose of the California Fire Chaplain Association is to utilize qualified individuals to provide ministry support designed to meet the spiritual, emotional, and physical needs of Fire Service personnel and/or their families. The types of situations that may need Chaplain support are serious illness, injury, death or significant emotional trauma. To support Firefighters and Chief Officers in dealing with traumatic situations, such as line of duty death or serious injury notifications to family members. Assist in coordination with the family during times of death, serious injury, serious illness or other difficult and emotional situations. To support and be actively involved in the Critical Incident Stress Management Program at all levels and encourage a strong peer support program. To support and facilitate Substance Abuse Assistance for Fire Service personnel. To minister support to victims in the event of crisis, such as fire, auto accident, plane accident, earthquake, etc. 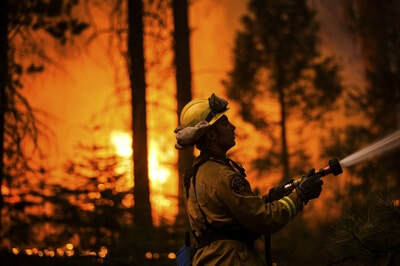 The mission of the California Fire Chaplain Association is to bring together persons interested in providing an effective Chaplain Service: to give aid, comfort and help to firefighters and their families; to work toward the betterment of all areas of the fire and emergency service. To serve God, to aid humanity, our communities, our government, our religions, our Country and the quality of life; to help mankind in developing their most noble characteristic that of serving others. 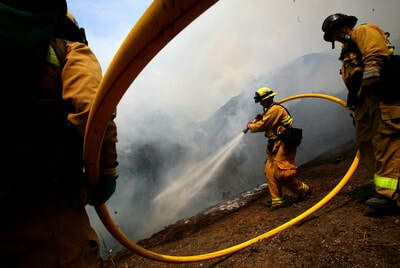 The California Fire Chaplain Association is multifaith and calls for no compromise of either individual beliefs or convictions. Our responsibility is to God and to humanity. As Fire Chaplains, our work is not limited to the area of fire departments, firefighters, communities nor victims of the devastating ravages of fire or other crisis happenings. We shall strive to help ease the suffering of our fellow man wherever our paths shall lead. However, as a base for our service, we have chosen to support the fire fighting profession.